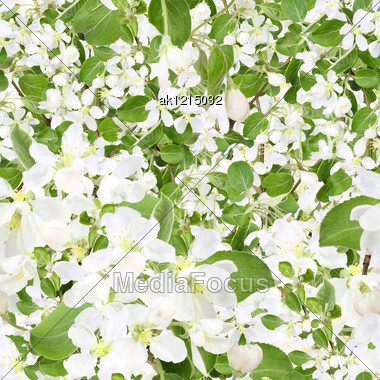 Royalty-Free Stock Photo: Abstract Background Of Apple-tree Branch With White Flowers And Green Leafs. Seamless Pattern For Your Design. Close-up. Studio Photography. Find similar images with "abstract background apple-tree branch"